"I put a lot of work into my lyrics," Robert Plant told Rolling Stone in 1975. "Not all my stuff is meant to be scrutinized, though. Things like 'Black Dog' are blatant let's-do-it-in-the-bath-type things, but they make their point just the same." 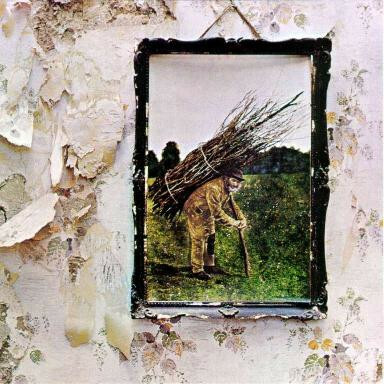 On their towering fourth album, Led Zeppelin match the raunch of "Black Dog" with Plant's most poetic lyrics for the inescapable epic ballad "Stairway to Heaven," while guitarist Jimmy Page veers from the blues apocalypse of "When the Levee Breaks" to the torrid Little Richard tribute "Rock & Roll" to the mandolin-driven "Battle of Evermore." ("It sounded like a dance-around-the-maypole number," Page later confessed.) Maypole or no, IV was the peak of Seventies hard rock.